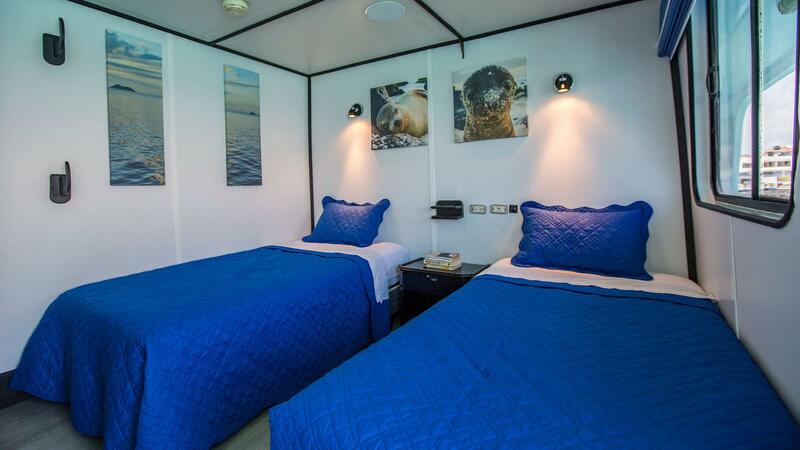 Eight spacious cabins with queen or twin side-by-side beds all with en suite, A/C and large windows. 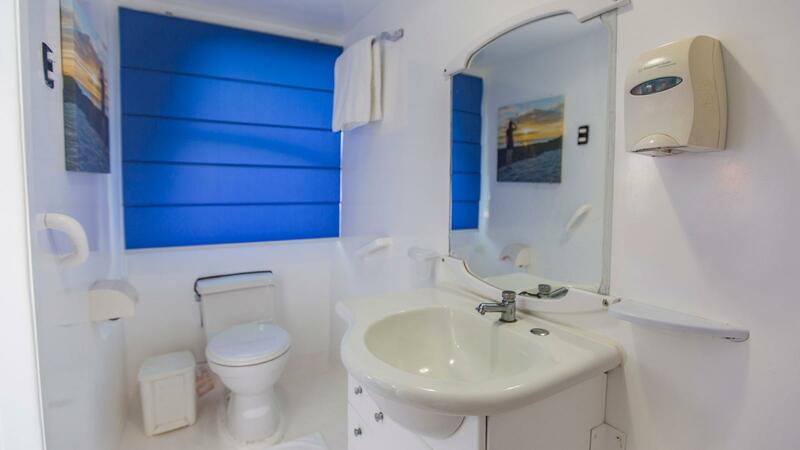 Spacious cabins with queen or twin side-by-side beds all with en suite, A/C and large windows. Morning landing at Cerro Brujo on San Cristóbal to observe sea lions, marine iguanas, and seabirds along the beach. Continue to the dramatic Kicker Rock in the afternoon to witness the steep vertical stone walls rising from the ocean and some of the best snorkelling in the Galápagos. In the afternoon, head to Isla Lobos known for its friendly sea lions. Visit Santa Fe island for a chance to mingle with the iguanas and white tipped sharks. Continue to South Plaza for some great bird watching opportunities. While it is our intention to adhere to the route described, there is a certain amount of flexibility built into the itinerary and on occasion it may be necessary, or desirable to make alterations. We know it’s always tough to choose between comfort and a good price. That’s why we have the Yolita, so you don’t have to choose. You’re welcome! 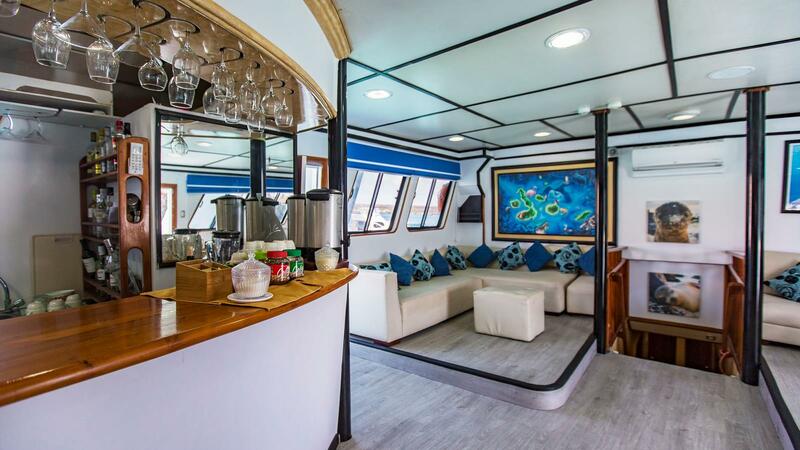 This attractive 16-passenger ship boasts surprisingly spacious cabins for its size, and the large upper deck allows you to soak up as much of the Ecuadorian sun as you need. Large aft porch with couches and lounge chairs. An elegant dining room, lounge and bar for meals and briefings. Observation deck boasts outstanding sightlines. With seven dedicated G Adventures crew members and one CEO Naturalist Guide familiar with the local flora and fauna and certified by the Galápagos National Park Service, there’s always someone available to answer your questions. Snorkelling equipment, wetsuits, and beach towels are included at no extra charge. 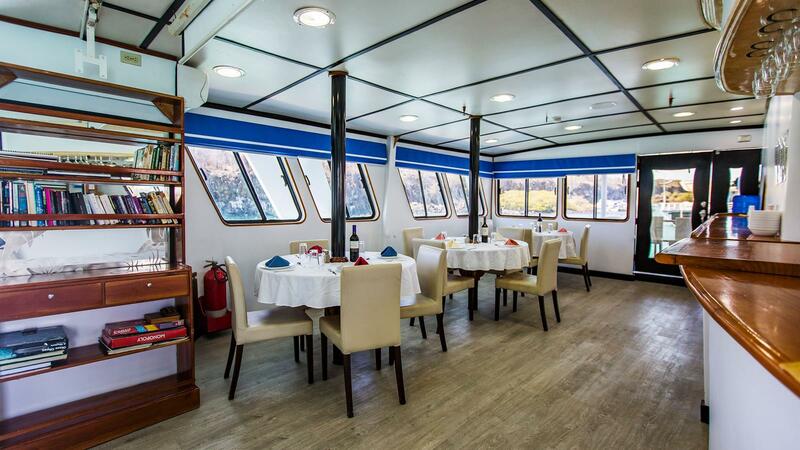 Comprehensive breakfast and gourmet Ecuadorian and international cuisine is prepared fresh daily, and all meals on board are included. 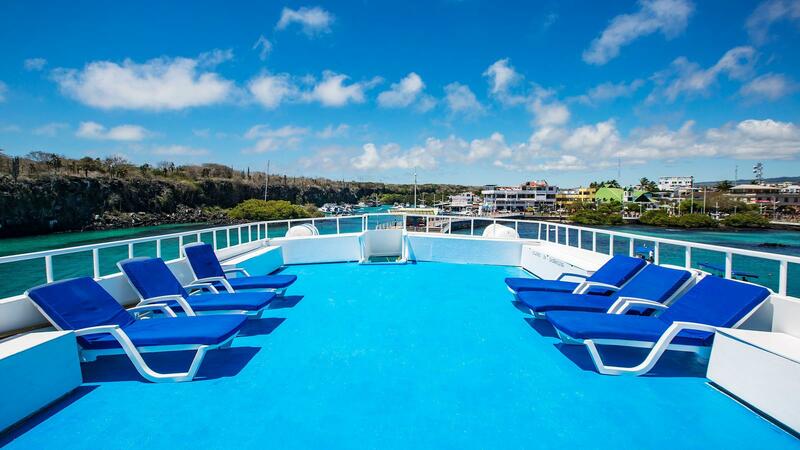 After seven nights cruising the Galápagos Islands aboard the Yolita, you won’t want to leave. 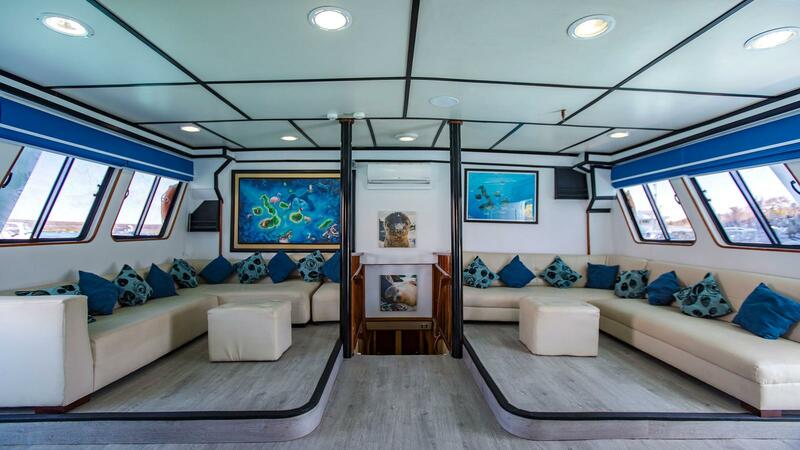 Travelling between the central, southern and eastern islands, expect days full of activities you really ......click here to read more. For those looking to spend more time in the Galápagos, this 17-day itinerary includes visits to several islands and loads of opportunities to observe unique wildlife. From colonies of marine ......click here to read more. Spend five days exploring the Galápagos Islands aboard the Yolita and enjoy the beaches, history, and wildlife of the central and southern islands. When you want to spend some time ......click here to read more.